The kitchen is considered to be the center of the home and the focal point of the area upon entry is the benchtop. 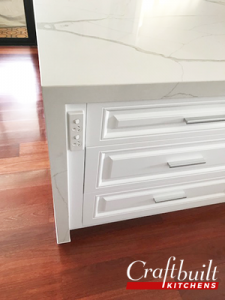 Sitting down with experienced kitchen designers and manufacturers, you will find that marrying your benchtops to the rest of the living space, is an easy task. Mixing and matching kitchen benchtops with the rest of the kitchen means combining personality, style, texture and drama. 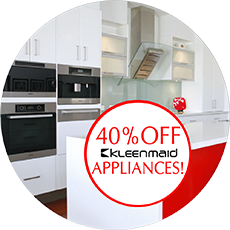 In addition, it can create harmony and balance with the kitchen cabinets, splashbacks, kitchen appliances and furniture. When you want to have different spaces for cooking, preparation and entertainment. When you want to add unique and visual centre points for attention in the kitchen. When you’d like to connect one area of the kitchen to another by adding a natural piece like a kitchen island. What kind of benchtops can you mix and match together? At this point, there is no limit to the choices you can make! 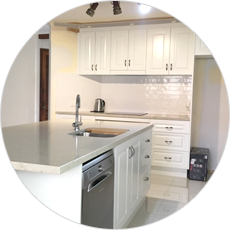 Your kitchen manufacturer may suggest a marble bench or laminate kitchen benchtops from our own Brisbane suppliers, depending on your style and taste. 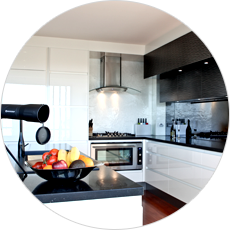 And if your kitchen’s space is maximised correctly, you can have more than one benchtop material. There are various laminates you can choose from. Kitchen tops laminate selections also include waterproof laminate. 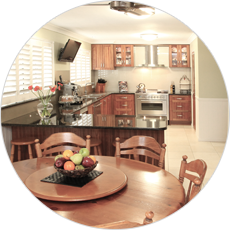 Some kitchens may opt for wood combinations while others choose stainless steel kitchen benchtops. If you’re looking for a kitchen manufacturer and specialist who can guide you in mixing and matching different coloured and textured benchtops, Craftbuilt Kitchens’ own experienced professionals hold over 40 years of expertise on their belt. 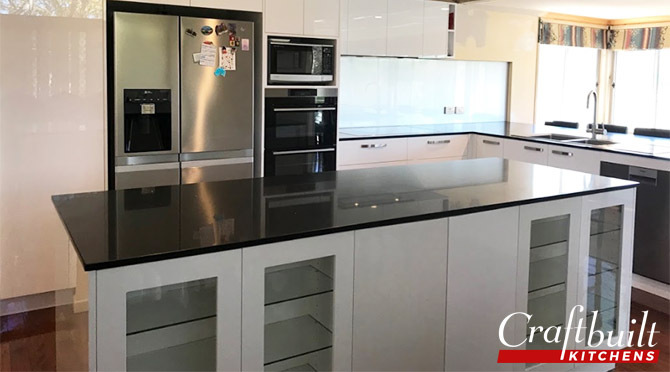 Whether you’re opting for a modern, contemporary, minimalistic or traditional approach, finding that style or theme with multiple benchtops can be easy when you sit down with us. Visit our Large Showroom at Underwood or our Stones Corner Design Studio today and avail of amazing discounts!